All transactions are safe and secure with a reliable history in online purchasing behind each of our associates. Buy the Anchorman Channel 4 News shirt to own Anchorman clothing and merchandise. 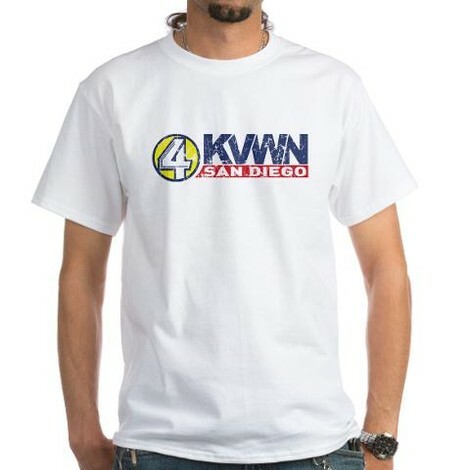 Now you can be part of the KVWN Channel Four News Team with this Channel Four news crew shirt. The preshrunk, durable T features the logo of the San Diego news channel, which was the fictional employer of 70s anchor legend Ron Burgundy (Will Ferrell) and his fellow action news anchors Veronica Corningstone and Brian Fantana (Paul Rudd). In addition to the Anchorman Channel 4 News tee above, browse the Anchorman Clothing Gallery for more apparel like men's and women's clothes, kids shirts or hoodies.